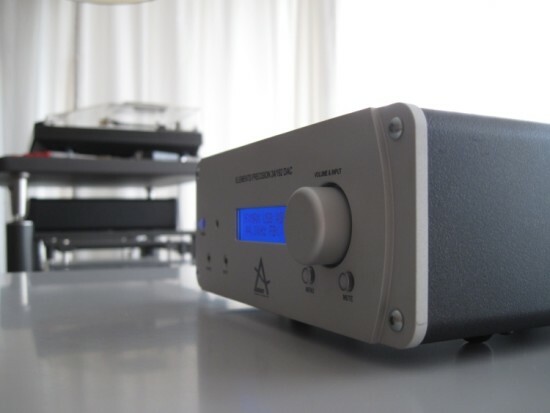 … it wasn’t until very recently when I heard a Leema DAC in a friend’s setup, and it was playing so effortlessly musically, that I felt it deserved an in-depth review in my own setup. 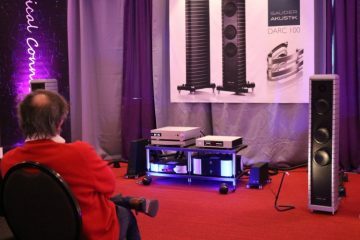 Review sample kindly supplied by Monitor Audio, distributor for the Netherlands. The Elements series are a range of small but elegant, advanced, and highly flexible components. 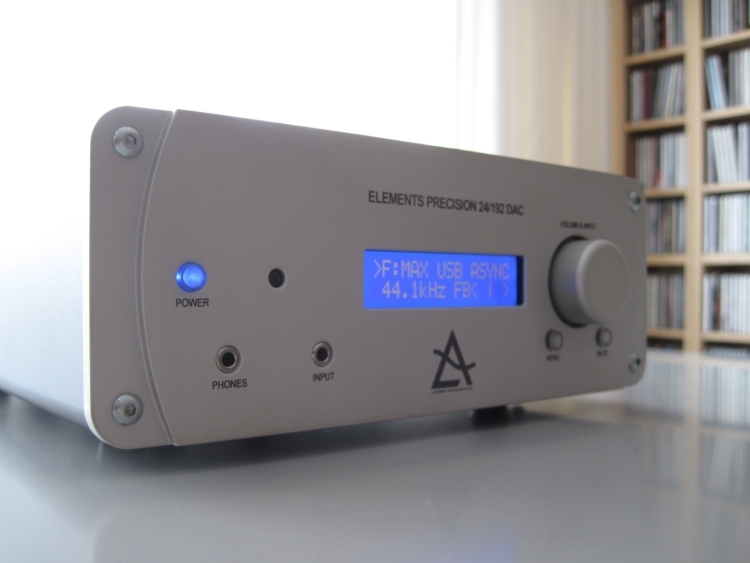 The Elements DAC under review here, has an analog volume control that can either attenuate the outgoing signals as is traditionally done, but it can also be set to unity and control the gain inside an Elements poweramp for example, if the two components are connected using a LIPS link, making for a simpler and purer path. 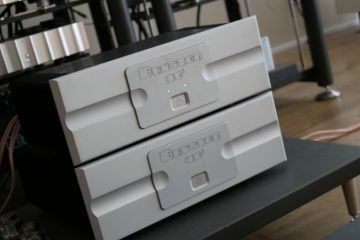 And if you are using two poweramps in bridged mode, the single volume control simply controls the gain inside both power amps. There are various other functions that can be linked using other Leema components, but for the purpose of this review I’ll stick with the Elements DAC itself. 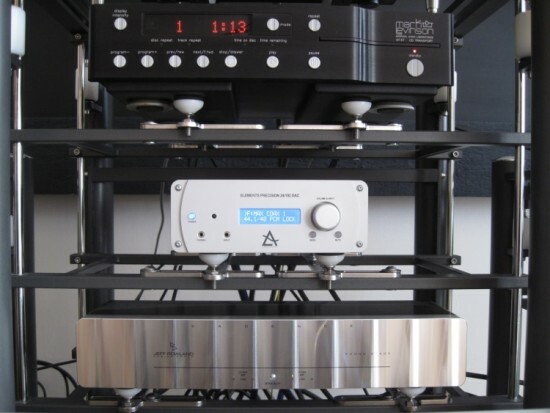 All inputs can be freely renamed and the DAC offers many interesting set up functions, all accessible using the front panel rotary knob and display. For example: the rotary knob can be preset to be an input selector or a volume control, while switching between the two is a matter of simply pressing the knob. There are settings for choosing the info shown on the display, setting the display time-out, setting fixed or variable volume and various more settings. The DAC accepts any signal up to 24/192 via coaxial or USB, and there’s an IR remote control with buttons for everything but the menu functions. Input connectivity is plentyful: USB input (asynchronous), 3x Toslink, 3x Coaxial, analog in cinch and analog in minijack on the front panel. Outputs are available in cinch and XLR, and the latter is what I listened to for this review. Cables used are Cardas HexLink Golden 5C XLR, Cardas Clear XLR, Audioquest Diamond USB, Wireworld Platinum Starlight 7 USB, Elijah Audio Quad Braid USB, Harmonic Technology Pro ACII power, Furutech Alpha power and Reference Tweaks Gold Label power. Above: Almost right the first time: Cardas Clear XLR, AudioQuest Diamond USB and Furutech FP3T20. The latter needed to be changed. 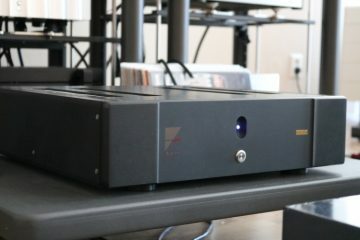 The Leema elements uses asynchronous transfer for USB, wherein the DAC sets the pace and not the computer. First listening therefore was using the USB input. 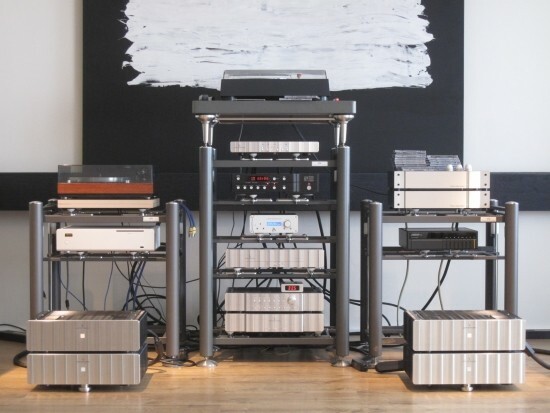 While I normally only listen to components placed directly on the Artesania Exotery racks, first listening was in the former setup, on top of the Artesania Krion Turntable Platform, made possible because my Yamaha PX-2 turntable was away for maintenance. Interestingly, right from the cold, connected with a Furtech FP3t20 powercord and Cardas Clear XLR interconnects, the Leema felt right at home on top of the platform. This was a demo unit with some use on it, but it had been in a car for a few hours and yet, using the AudioAanZee UltraFlow music server connected via Audioquest Diamond USB, it sounded exceedingly musical. A touch bright on occasion (likely attributable to the cold start), but overall very smooth and full, and very relaxed. Two things sprung to mind. First: evidently, the Leema could use the extra focus that the Krion platform brings. Second: the overly smooth sounding Furutech powercable had to go. Out went the Furtech FP3t20, and in came the Furutech Alpha 3. Yes, much better indeed! The Leema retained its relaxed nature but gained more articulation and speed. So far the Leema strikes me as a music-first device, its meaty bass helping making everything you throw at it play effortlessly and musically. The Leema’s coaxial input also works splendidly: used with the Levinson 37 CD transport, it sounds just as musical as when using USB. 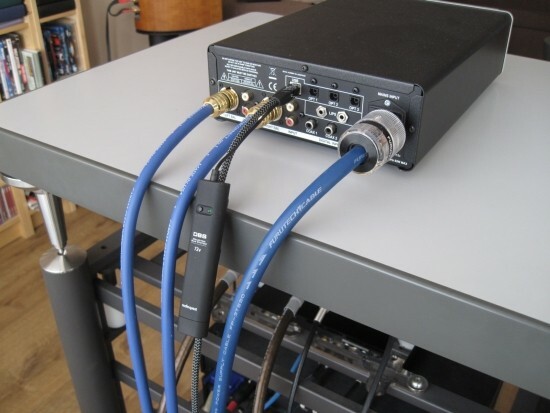 This is important to note because historically I have not had much success using DACs and their coaxial inputs. No matter how good they sound superficially, there’s always a price to be paid compared to integrated CD playback, most evident in a flat soundstage and a lack of involvement. With the Leema there’s no hint of this however. 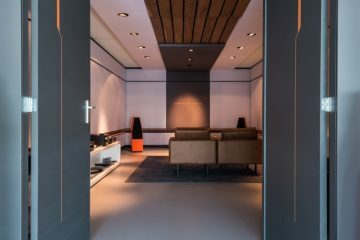 During the coarse of this review I changed the position of the stereo system and thus the Leema moved from its position at the side of the room to the front wall. Simultaneously my Yamaha PX2 was back in position, and some equipment shuffling made room for the Leema in the middle Artesania rack. And so advanced listening commenced. The Leema Elements DAC is the kind of DAC that doesn’t draw attention to itself by sounding loudly dynamic, having extreme control or baffling the listener with vast amounts of detail, instead always sounding smooth, colourful and relaxed. The interesting thing is that in spite of its mellow character, the Leema doesn’t sound tame or slow, and has plenty dynamic differentiation, it’s just never shouty about it. 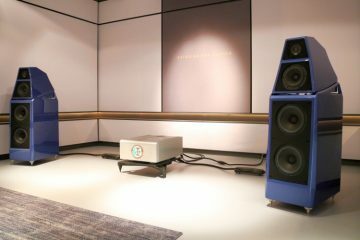 More listening does substantiate the initial feeling that the Leema’s bass is not the tightest on the planet, sounding reminiscent to the way that the Meridian 506.24 handles the bass and lower midrange. At the time this was referred to as a “typical English” sound, but in case this is too vague, or if you haven’t heard the 506, it means that the bass is all there in all its fulness and deepness, just that it has more bloom than could be called strictly neutral. I actually like this kind of sound because it is much more forgiving of dry and sterile recordings than is a player that is ruthlessly tight and controlled. The bloom, or fatness if you like, is very pleasant, but as turned out it can become a little too much if overly smooth cables are used. Importantly, while sharing some similarities with the good old 506, the Leema sounds a lot better than this ageing player, with better dynamics and more natural timbre, resulting in an overall more convincing sound. What worked best for me was the Furutech Alpha 3 powercable combined with Cardas Clear XLR interlinks. The latter adds tightness and focus without allowing the Leema to become analytical or dry. Alternatively I can also recommend the older Transparent Ultra XL XLR cables, which mate synergistically with the Leema’s smoothness and add to that with a very spacious soundstage, resulting in a bass that lacks some tightness but an overall sound that is quite magical. Listening started with the AudioQuest Diamond USB cable. This would turn out to be the best match, but before I reached that conclusion I tried various other cables. The Wireworld Platinum Starlight 7 offered a more forward sound with a bolder character, but although I did like the Wireworld’s fuller bass, I found that it took away too much subtlety and refinement. The KingRex uART S showed a remarkable resemblance to the Wireworld, which really isn’t so remarkable because the KingRex is actually based on a Wireworld cable. It was a little warmer sounding through the midrange, which I liked, but still it didn’t offer the openness of the AudioQuest Diamond. Next I tried the Elija Audio Quad Braid which did sound immensely airy and refined, but lacked the bass fulness of the Wireworld and KingRex, and couldn’t match the coherence and natural tone, or PRAT of the AudioQuest. I did not have a similarly priced DAC at hand, but did get a friend to bring his Ayre QB-9 around. This one is the latest version before the DSD version. Admittedly this is not really a fair comparison, the Ayre costing almost twice the Leema’s price tag, but it proved very interesting. First thing you notice when connecting the Ayre in place of the Leema is the more refined and airy sound. 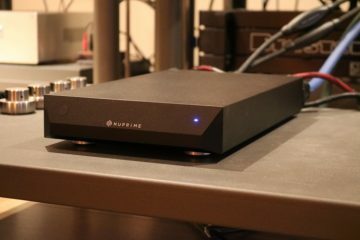 The Ayre really excells in treble air and low level resolution, and in these aspects it hints at DACs that cost multiples of its price tag. 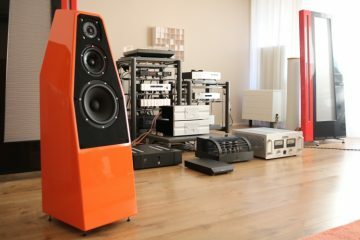 However, the Ayre doesn’t win per se, as the Leema has much, much better bass, being both deeper and more powerful, the Ayre sounding decidedly lightfooted. I already was familiar with this character trait, but never before was it this obvious. For the first time I found the Ayre to sound a little un-acoustical in comparison, the Leema being so much richer and fuller sounding. It was really hard picking a favorite because each had unique qualities that the other lacked. Listen to the Ayre for a while, and upon switching to the Leema one has to adjust for a minute or so to the fuller, darker and less resolving sound. But listen to the Leema for a while, and upon switching to the Ayre, one can’t seem to get adjusted again to the lack of fulness. It seems once again that musical involvement needn’t be in the level of detail but much more in PRAT and timbre. Naturally I couldn’t resist comparing the Leema to my Jeff Rowland Aeris. No doubt, the Aeris sounds more detailed, more nimble and dynamic, while remaining full-bodied and smooth and so is the more impressive DAC, but so is its 5x price tag. Searching my memory for more similarly priced DACs I recall the PS Audio NWD. 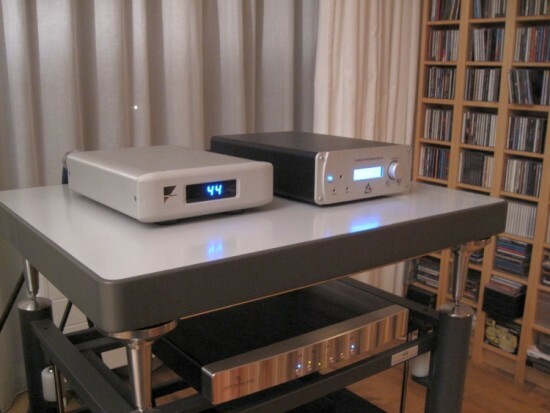 Although I thought at the time that it represented the best DAC one could buy for 1200 euro, and this could well still be the case, I must say that from what I remember about it, the NWD certainly lacks the Leema’s charm and fulness or colour. 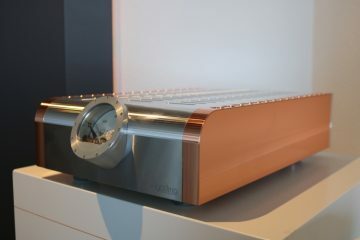 Another affordable DAC that springs to mind is the 1000 euro Rein Audio X3. This one I actually still have at hand, and so a direct comparison was easily made. Reminiscent of how I remember the PS Audio PWD to sound, the Rein X3 also has an opposite sound signature compared to the Leema. The X3 is a fast ‘n lean, tidy and neutral DAC but it is a little bit too strict, too dry and a little forward in the midrange for my taste. 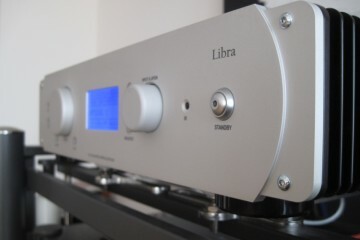 Although my current setup is more forgiving of this than it was before, this is still the kind of DAC that I feel appeals to the mind more than to the soul, contrary to the Leema, which appeals to the soul immediately. That, and it has a more organic sound and a much fuller bass, which I defnitely prefer. 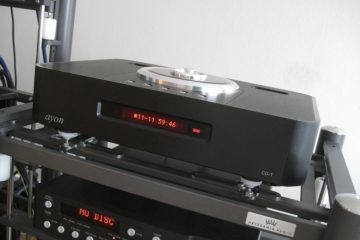 A last comparison is made with the Levinson 390S CD player. This is one of the most musical players I have heard to date: full, smooth, fluid, airy and with big bass. It isn’t the last word on detail or timbre, but in all my setups thus far it never failed to sound any less than totally engaging. It wasn’t until I connected the Aeris DAC to the 390’s internal transport that the player itself was beaten. 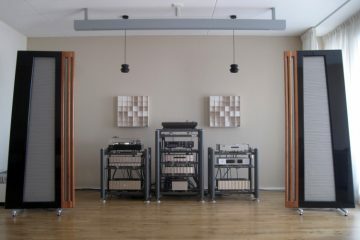 But comparing the 390S’ analog output to the Leema’s, connected to it digitally using a Wireworld Gold Starlight III+ coaxial cable, the differences are not exactly night and day. While not identical, and the 390 by itself still has the edge, there are more similarities than differences, both having a slightly over-ripe bass, but also a smooth, organic full-colour sound and a nicely lush and creamy midrange, and both put the music first. And it is in this last comparison, that I think the Leema is truly showing its colours. The Leema Elements DAC isn’t one of those bland new DACs, digging ever deeper for details and forgetting the music in the process. It has character, and that’s just the way that I like my audio equipment. It isn’t the most highly resolving DAC around, but it is unfailingly musical and it puts a smile on your face no matter what music you play. Its timbre is so natural and everything sounds so effortlessly musical and so un-technical that sometimes I wonder if I need more. Of course one can get more, but the price increases very steeply before this is achieved. 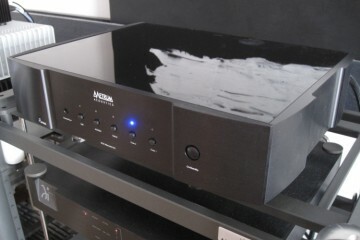 All in all, the Leema might well be the DAC to beat at 1800 euro.